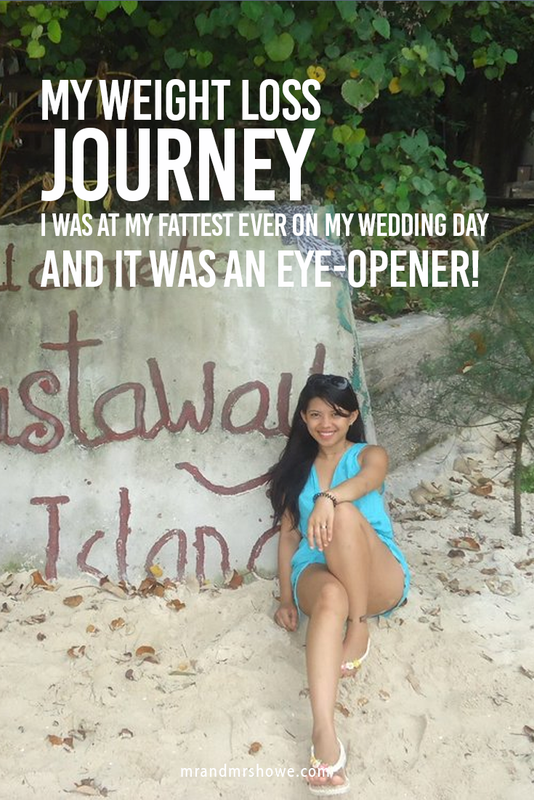 My Weight Loss Journey - I was at my fattest ever on my wedding day and it was an eye-opener! I had hit 72 kilos without even realizing it, which is a lot for a 5 foot 1 inch Asian woman! 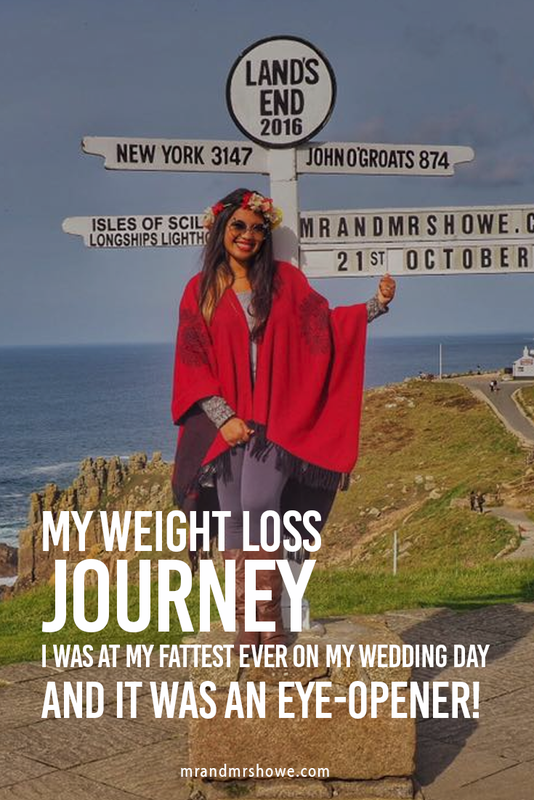 I was technically obese on my wedding day, the day that you should feel the best of your life, I was certainly not at my best! I’m just glad that my now-husband didn't run away! A few months before my wedding day, I kept getting sick; flu, cold, running out of breath and having more and more anxiety attacks. I knew there was something wrong and my weight was sky-rocketting, gaining 2 kilos every month! What was wrong with me? I was eating loads of rice and meat, more than ever before, sleeping less hours because of my online work and struggling to keep a healthy routine because of our lifestyle. There was no one else to blame but me. Back to my life in the Middle East from 2009 to 2013 - I always weighed around 51 to 54 kilos! I was guilty of yo-yo dieting, but at least I was able to keep my body looking fit! I have always struggled with my weight and health ever since I was a teenager and in University. I've never been the naturally skinny type, especially by the "Filipino body standard", it was always hard work, but at least I had managed to keep it under control. On my 10th day backpacking in Asia after I quit my job in the Middle East! When I quit my job to start backpacking in May 2013, I only weighed 51 kilos, which was when I met Jonathan but then I started to gain weight through eating a lot of street food and cheap carbs to save money on my daily backpacking budget. Our first photo together in Luang Prabang, Laos! Who would have thought from 2 random backpackers we would end up traveling the world, visiting more than 60 countries together and finally getting married? Love this guy so much! Happiness radiating while I was living in Koh Pah Ngan, ThailanD doing yoga everyday for a month! Jonathan with our other 3 Housemates - Seb, Eachan and Martin who we lived with for 7 months in Hanoi! Working a lot of hours, drinking and smoking! Glad I finally quit smoking when we traveled to India last February 2014! Our first photo together in India where we traveled for 3 months and studied to become Certified Tantra Yoga Teachers (yep, we're 120-hours certified!)... things changed months after that when we decided to start our travel blog. Fast forward to leaving Hanoi and traveling the world - We started travel blogging in October 2014 while we were totally broke in Peru! That’s when I really started to neglect my health; at the beginning I was working 14 to 19 hours per day building our travel blog. It was stressful and I was rarely getting enough sleep. Then when we started working with brands and companies, I was eating all the best food and a lot of buffet breakfasts! I was steadily gaining weight, maybe a kilo per month but it became faster when I hit the beginning of 2016 - up to 2 kilos per month and always getting sick. I always had the flu, cough, allergies and I was always out of breath! My face when I hear about FOOD! Well, life is full of tradeoffs and I had traded my health for "success", but after seeing my photo on my wedding day, I decided that it was about time to get back in shape. I enrolled in a bootcamp in Norfolk (No1 Bootcamp), in south east of England for 1 month to kickstart my fitness, learn all the basic work out routines and be trained by military fitness trainers! I was able to shed some weight, drink loads of water and even start sleeping properly. I felt good about myself again and I’ve been able to implement what I learned from the training in real life too! One of the workouts at the No1 bootcamp in Norfolk! The struggle was real but I wasn't giving up on this. My first few weeks at the bootcamp was tough! I’m now back on the road with my husband and we will be traveling full time again very soon. I’m giving myself another 6 months to reach the weight and fitness level that I want to achieve. I want to document my weight loss journey in this blog so I can make myself accountable to reaching my goals! Just very lucky to have my very supportive husband! I'm still having a hard time trying to squeeze in working out with my travel routine, but I make sure I walk as much as possible and wake up early. I still eat too many carbs which I'm cutting down soon! My goal is 6 months of slow and consistent weight loss and developing a healthy lifestyle without feeling like I'm depriving myself! I hope you'll follow my weight loss journey here on my personal blog (mrandmrshowe.com) and make myself more accountable with my targeted fitness goal! If you’re struggling like I have, can you share your experiences below? What triggered you or motivated you to get back on track?